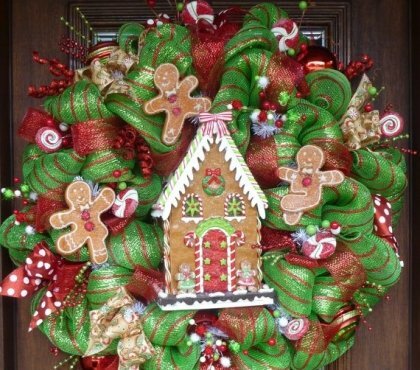 We always decorate our living room, the yard, the windows and of course the Christmas tree. 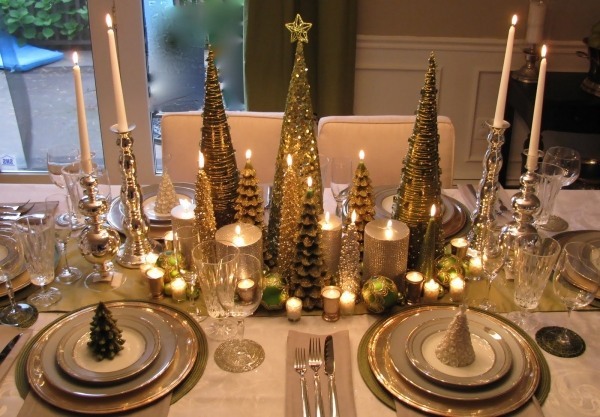 And what about the table? 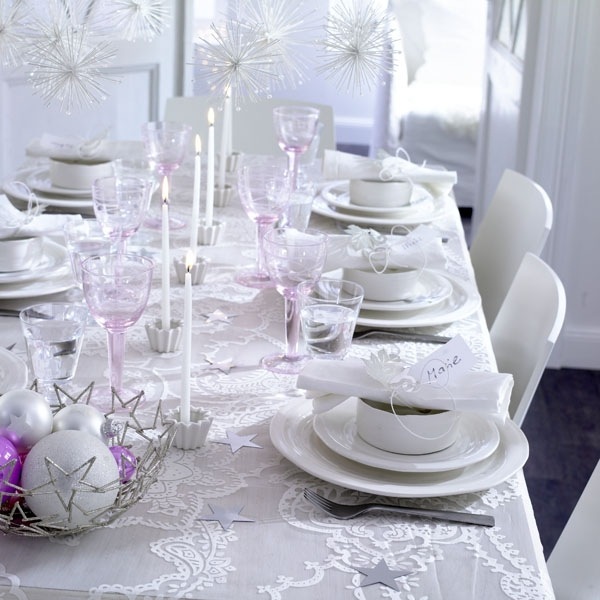 Christmas table decorations are as important as any other holiday decoration. 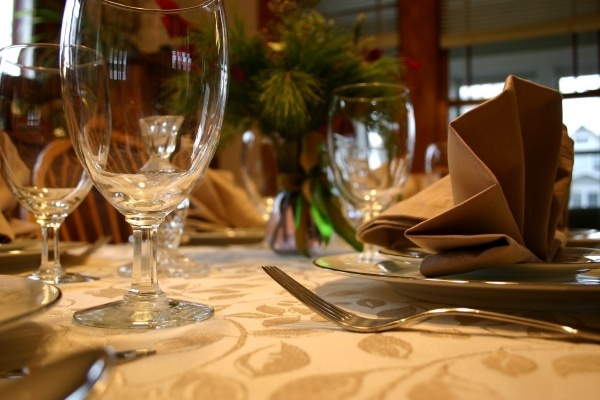 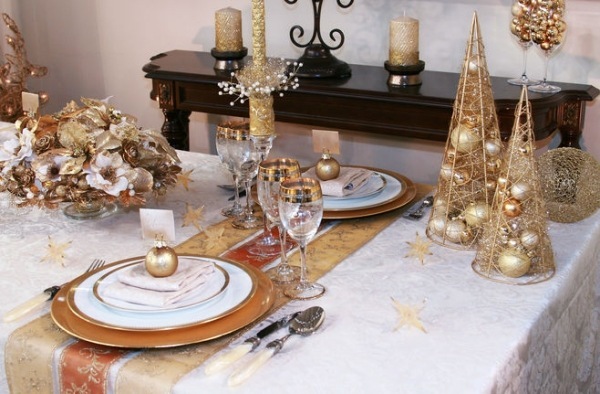 Any table decorated in style will get you in the right mood immediately and with the right decoration you will make the holiday dinner so much more special and memorable. 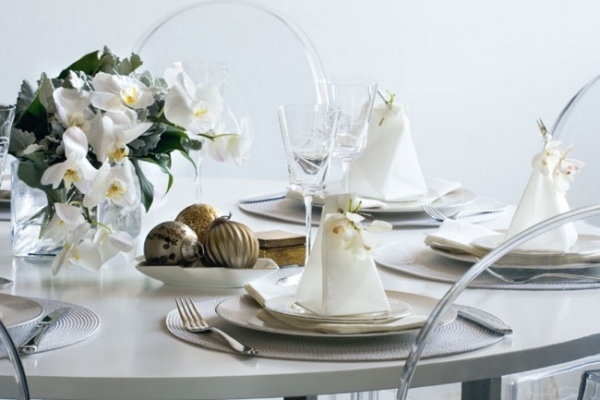 In expectation of one of the most beautiful holidays of the year it is time to consider what we want our table to look like. 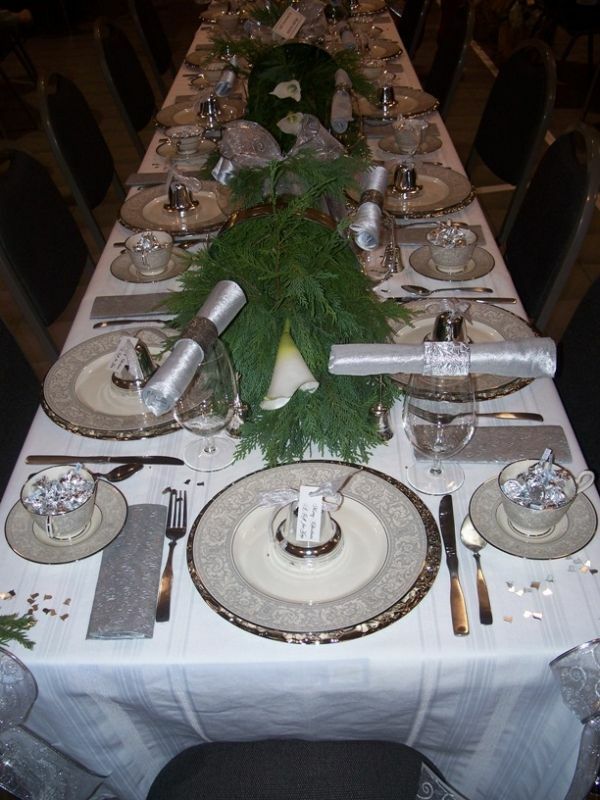 If you wanted to change the traditional green and red we have some Christmas table decorations in silver and gold which will help you for the details, the accents, the personal touch of the hosts to their friends and family and of course – the little finishing touches. 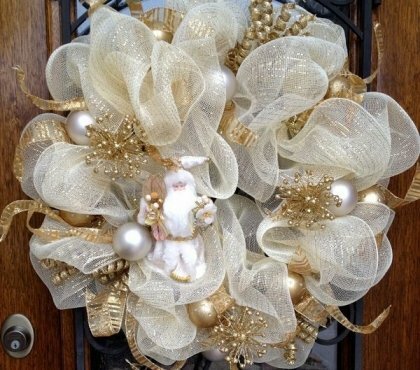 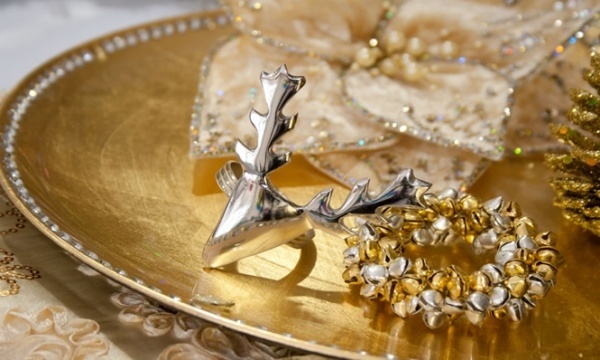 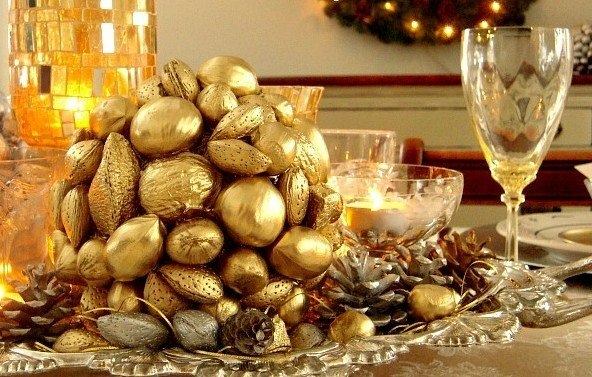 Silver and gold decorations are so elegant and glamorous, so stylish and classy, aren’t they? 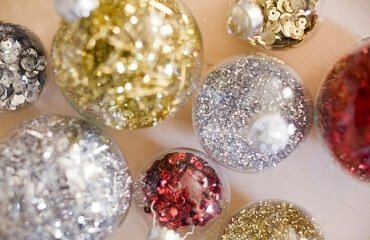 The most important are the little details. 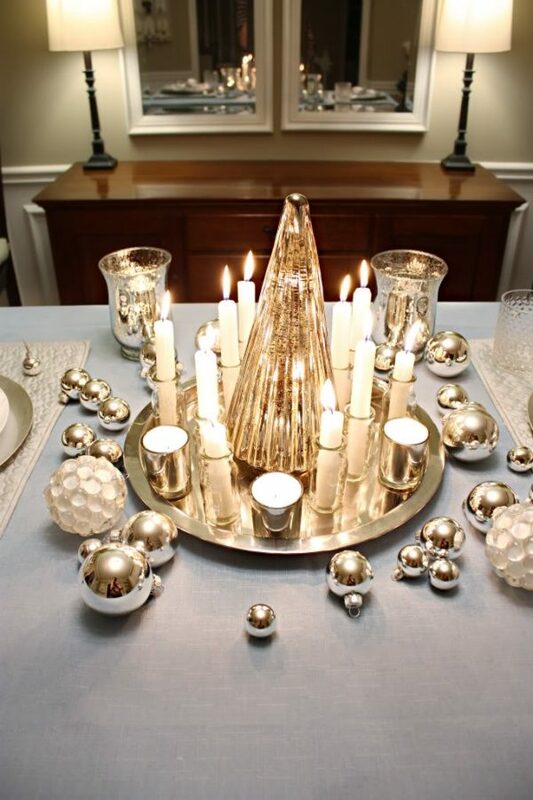 Remember that candles are always a wonderful accent. 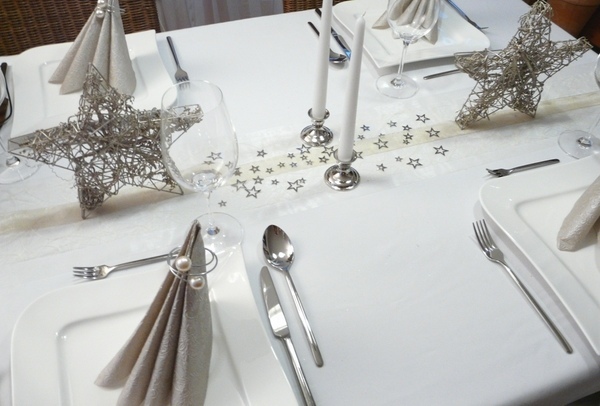 Placed in beautiful holders they make any table more festive and special and it will look fabulous when they’re all alight. 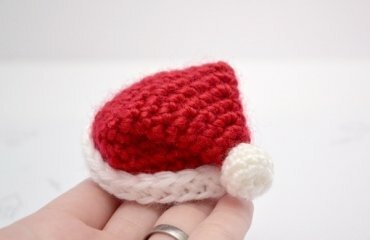 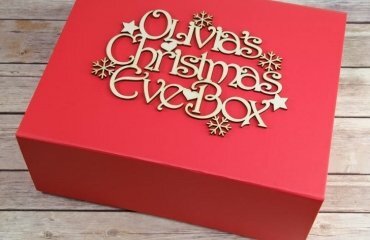 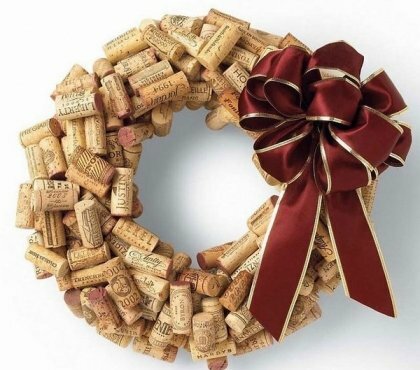 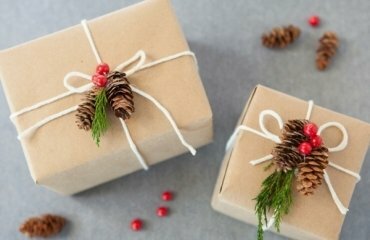 Think of adding a little object to each place – a small wrapped gift, a tiny vase, napkin rings or something unique and handmade. 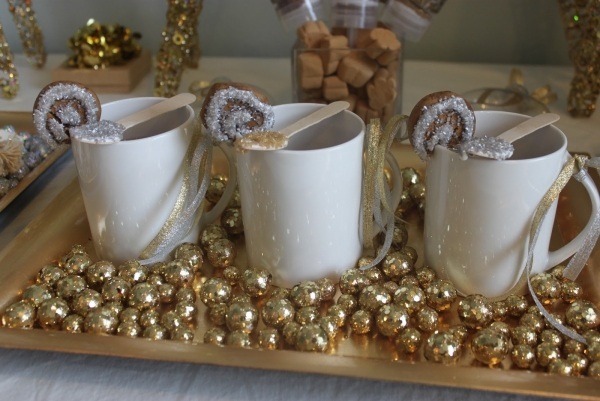 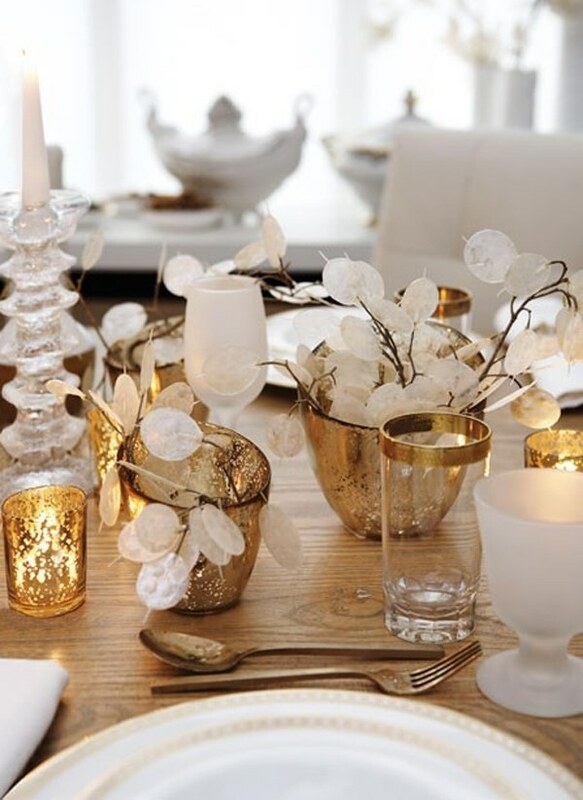 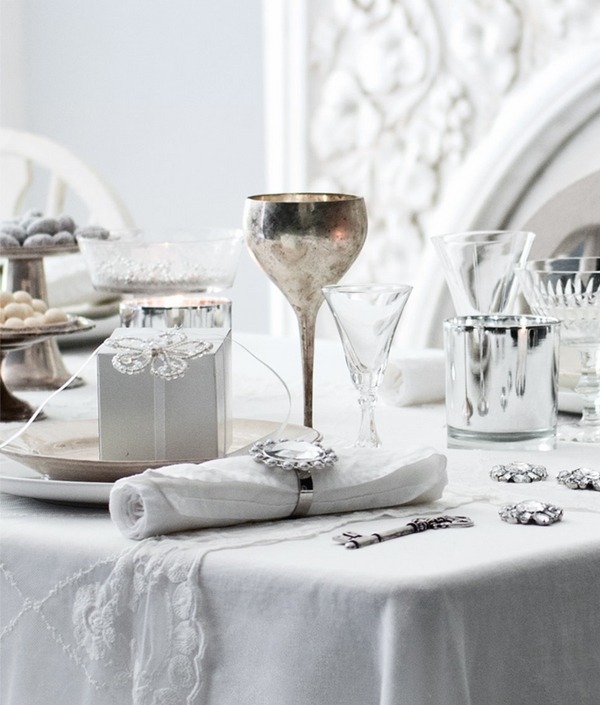 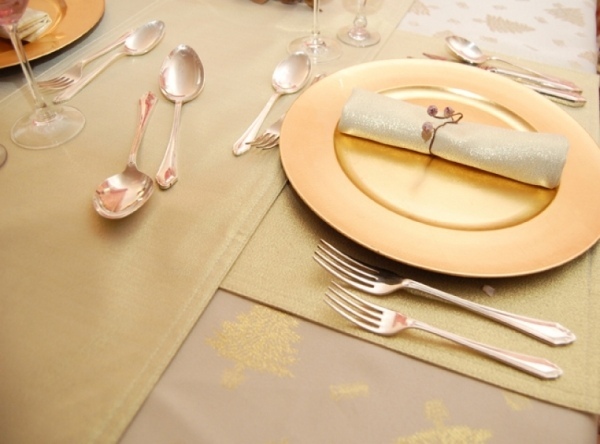 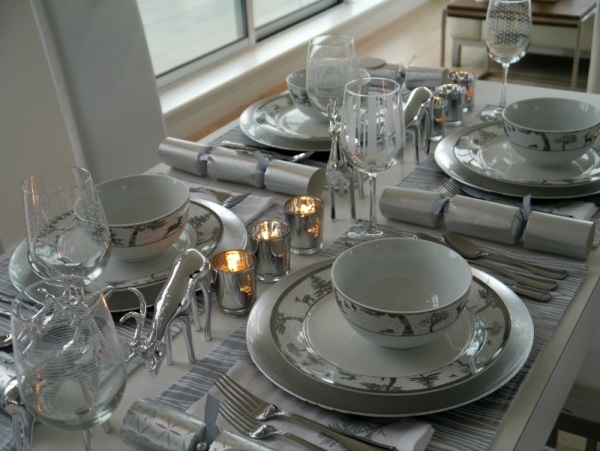 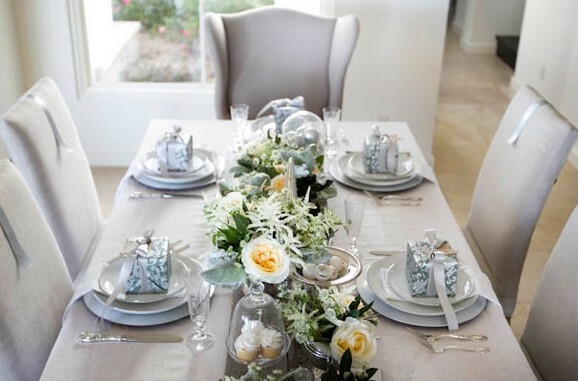 Even something as simple as golden and silver ribbons will add to the unforgettable appearance of your dining table. 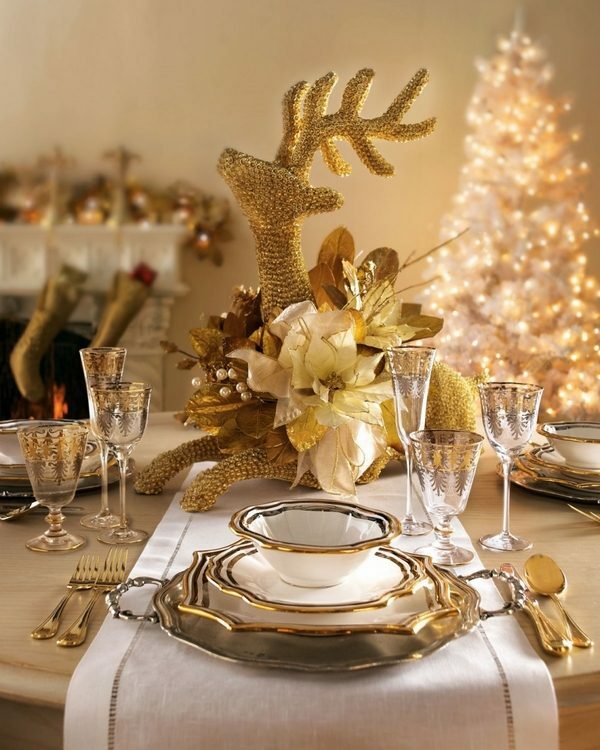 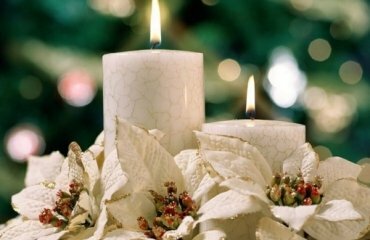 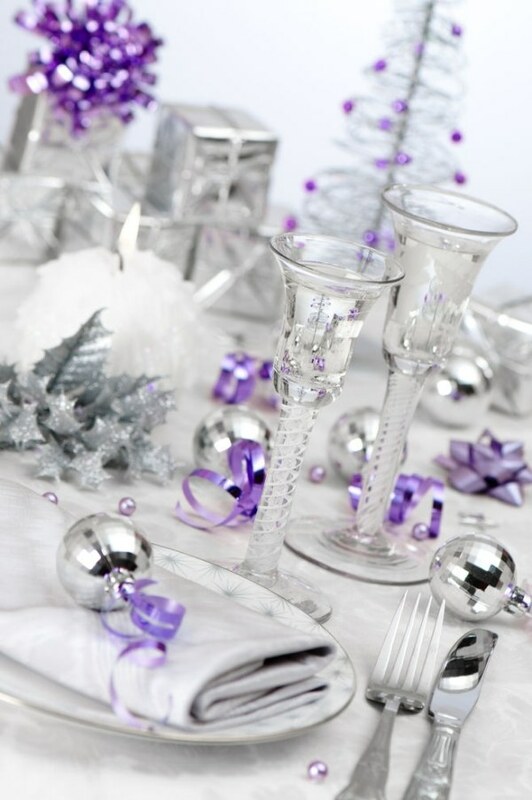 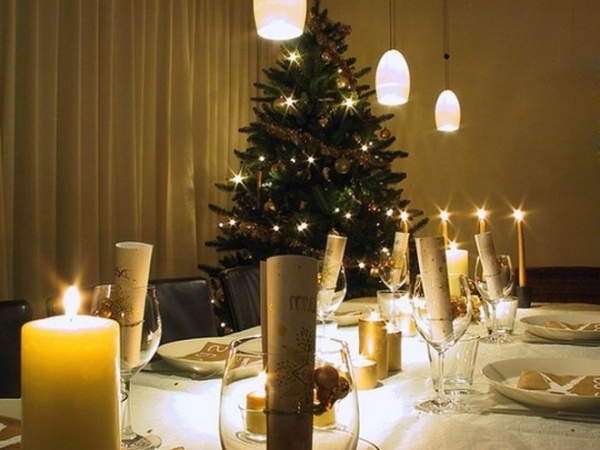 Christmas table decorations will make the evening with your friends and family a night to remember with the beauty and style that you created.